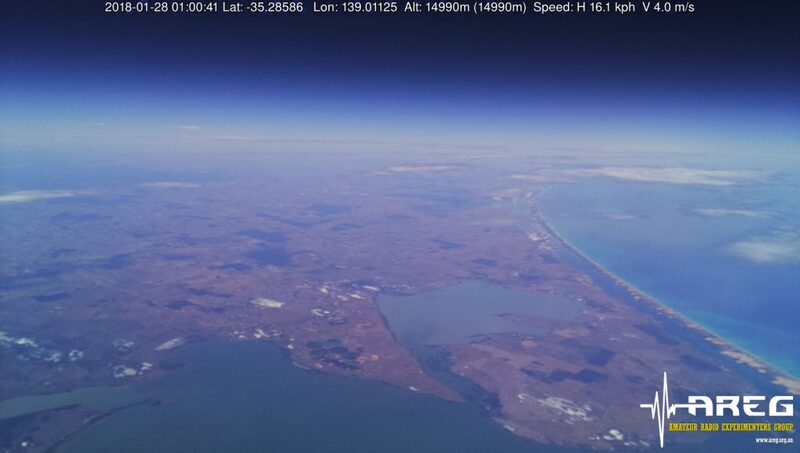 The Amateur Radio Experimenters Group teamed up again this year with the International Space University’s Southern Hemisphere Space Studies Program to simulate a space mission using Helium fueled high altitude balloons. The original plan was to fly a multi-faceted ‘heavy’ mission that included downward as well as outward facing cameras, inertial measurement units reporting the camera orientation (so that the photos could be plotted and stitched together after the flight) and a spectrometer studying atmospheric gas makeup. Unfortunately the weather was not cooperating, with flight paths landing in severe bush-fire rating zones within the Adelaide Hills, a risk the AREG team were not willing to take. So, at the 11th hour, the plan was re-cast to collect only outward images, without the flight termination devices on board, using disposable payloads. Thus, Horus 46 was born and flew on the 28th of January. The launch teams arrived at Serefino WInery at 8.00am and by 8:10am we had selected the launch and tracking sites. This year, due to the very calm ground winds we were able to lift off from the front lawns. The SHSSP students then helped with preparing the flight and filling the balloon. Grant VK5GR led the filling operations, aided by Josh VK5JO and WIll VK5AHV while Mark VK5QI tended to the payloads, Peter VK5KX and Bill VK5DSP tended to the ground station receivers and Matt VK5ZM (club president) secured the balloon train and handled the publicity aspects of the event for AREG. Telemetry collection was vitally important for this flight as it represented about the only way that we were getting pictures back from the balloon. To this end, we again enlisted the help of Peter VK5KX and Bill VK5DSP who provided the primary image downlink stations for the day. 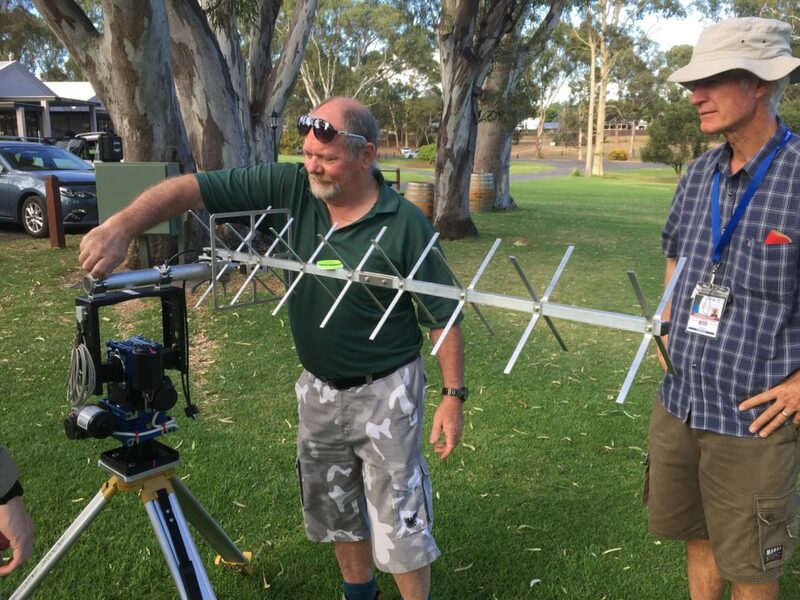 Mark VK5QI’s X-Quad antenna from Wimo generated a lot of interest as well as the tracking rig which now takes GPS data from the telemetry and computes the correct azimuth and elevation to aim the antenna at to receive the balloon. Lots of work went into that system by multiple club members so it was great to see it out in anger. Tracking the RTTY payload required some finesse this time as it was an original Micronut complete with AFSK spacing and frequency drift issues of old. None the less multiple stations were able to contribute to the flight data collection. 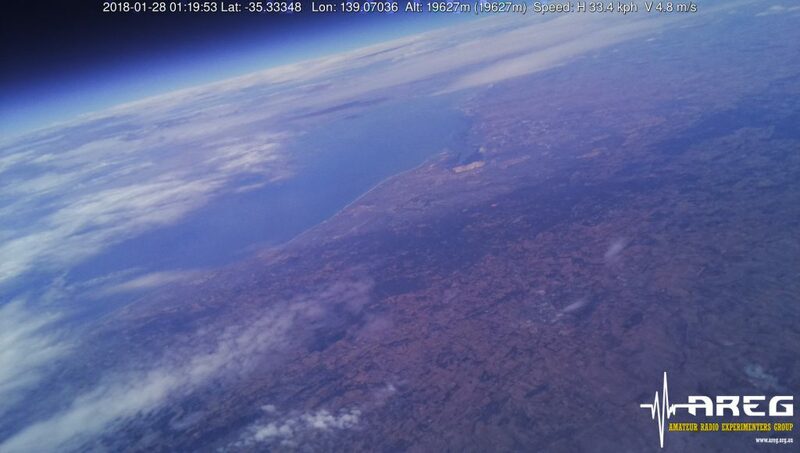 The most spectacular aspect of any of these flights are the pictures collected from the high altitude cameras. These never get old and this flight did not disappoint. As with all flights, there is a degree of uncertainty. So with Horus 46, while the expectation was that we wouldn’t be recovering this one, none the less an attempt was going to be made. Mark VK5QI set out with Will VK5AHV to track and attempt recovery anyway. For a while it was looking positive, but alas this balloon “exceeded specifications” in a most annoying way. 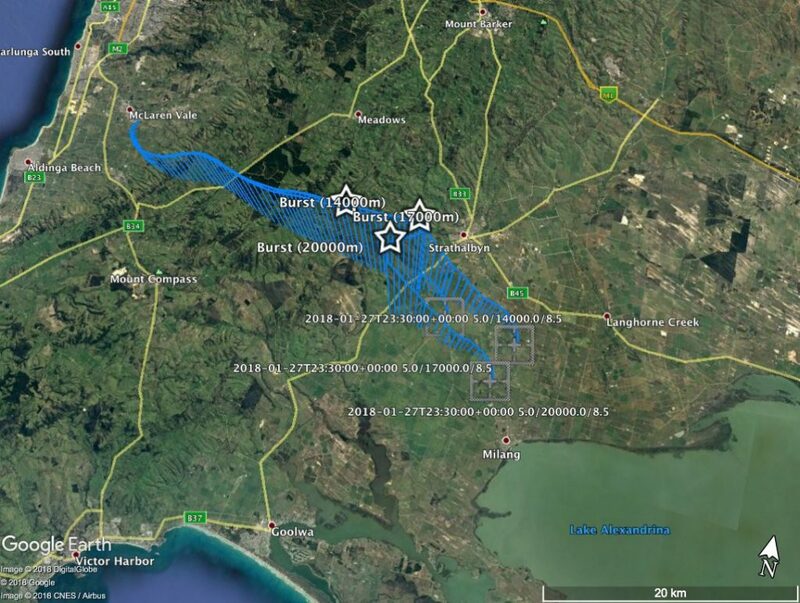 It flew higher than planned, in fact nearly 4km higher, which shifted the final landing zone well and truly into the waters of Lake Alexandrina. A big thank you is again owed to everyone who contributed to the flight either through direct flight operations or through telemetry gathering. Stay tuned as we are still hoping to fly the main scientific payloads next weekend (weather permitting). 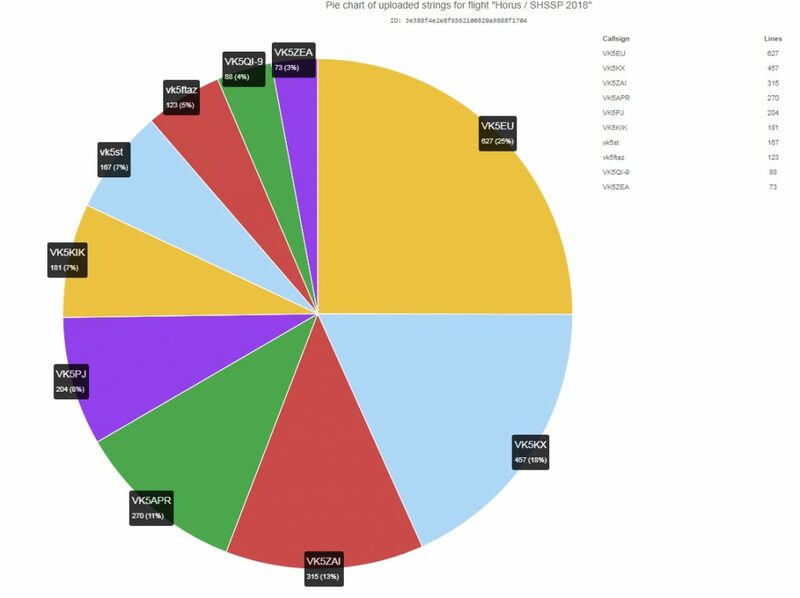 This entry was posted in Project Horus and tagged Horus, shssp18 by VK5GR. Bookmark the permalink.